Peruvian Hair - Generale Hair Zone | Any Hair, Any Style, Any Product!! Peruvian Hair is one of the most exotic hair type in the market. Peruvian hair has many purpose, it is lightweight but still carries lots of volume. 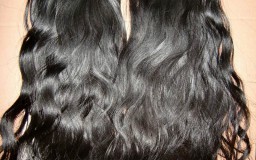 Peruvian Hair has soft and silky texture, availalbe in natural black and natural brown shades. As usual, we only offer 100% Virgin Hair, therefore our peruvian hair is obtained from a single donor and has not been chemically altered or processed. It is Shed-Free and Tangle-Free, so you can rest assured that you are purchasing top notch hair. We guarantee that you will love our long lasting and beautiful hair. Malaysian Hair is one of the most exotic hair type in the market. 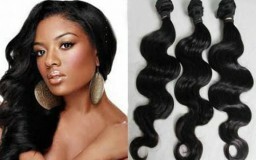 Malaysian Hair is obtained from malaysian women who sell their to make some extra money. Malaysian hair weave is heavier, thicker and more dense than Indian hair. The Mongolian Hair is hair from a Mongolian donor. The hair normally comes straight with a slight body to it. The Mongolians generally has a “Natural Black Color” The color is not as dark as Chinese or some Indian hair. The Mongolian Hair is hair from a Mongolian donor. Generale Hair Zone offers the finest quality 100% Brazilian human hair for discerning customers who expect the best! We understand our customers want long lasting gorgeous hair.